Omise: How to use Links? A while back, we released a feature called Links. 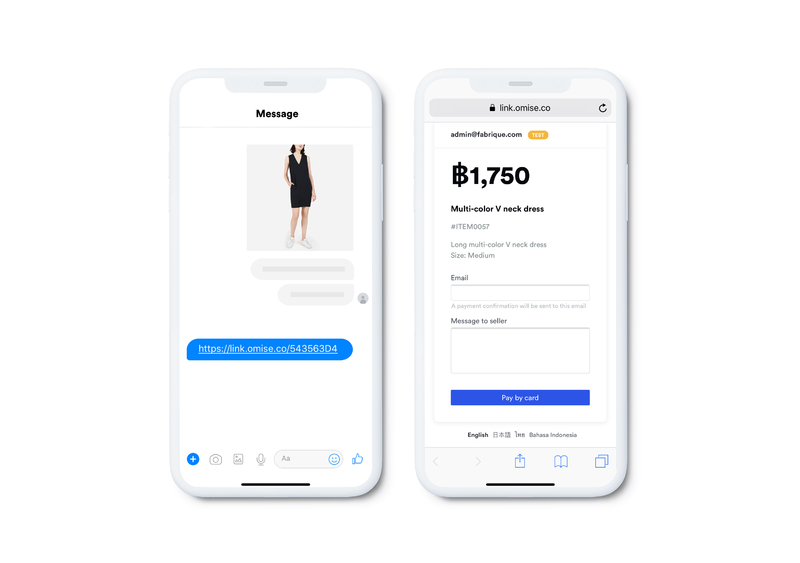 What Links does is that it lets merchants create a payment link which can be shared with clients through any communication channel to request for payments. Whether it's a customer across town or a buyer overseas, accepting payments is a breeze. Links are simple to create and convenient to use. The feature comes as a standard service with all Omise accounts, no extra integration or programming knowledge is required. Links can be created from the dashboard, or using the Links API. Or take it a step further and integrate Links with chatbots. Getting paid with Links is easy! Sign in to your Omise dashboard. Select Links from the menu on the left hand side and click on Create Link. 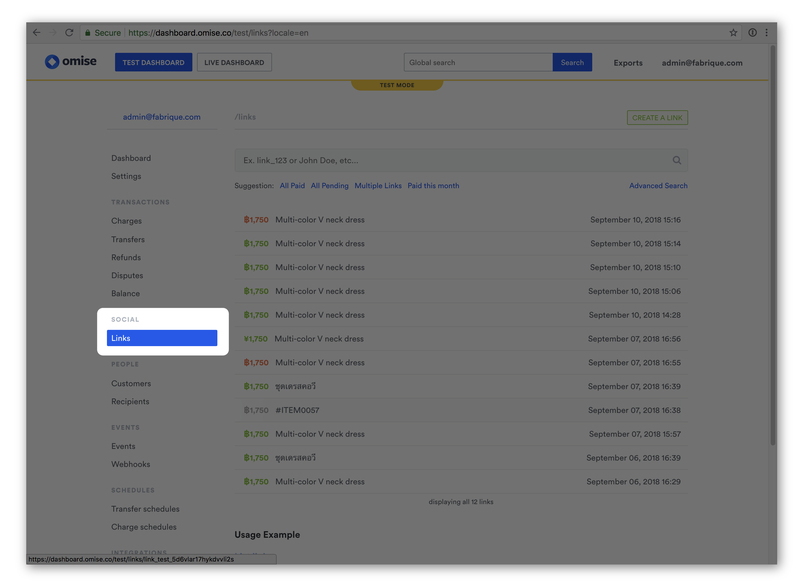 Enter the product or service details, payment amount, select the currency, and specify any other details in the form. When you’re happy with the details, click on Create Link. If it’s something you sell regularly and wish to use the same link multiple times you can select I want to use this link more than once. 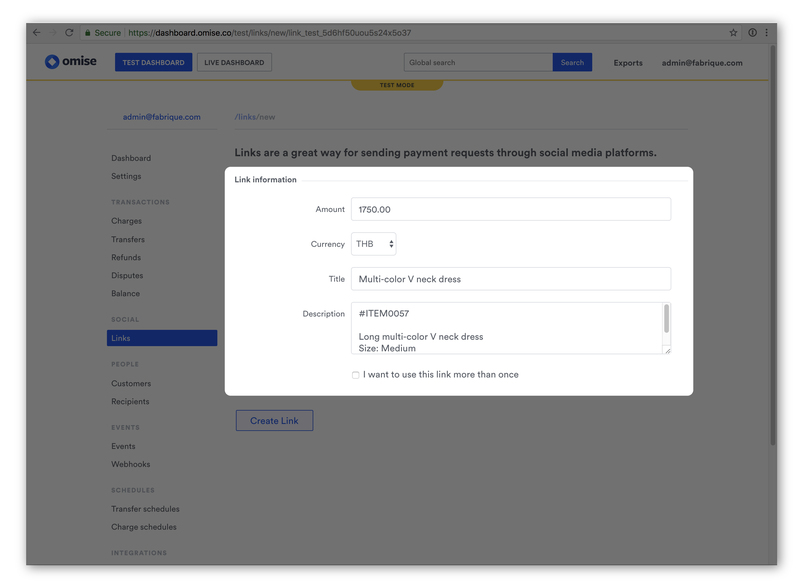 Omise will generate a payment link which you can send to your clients through email, SMS or any social media platforms you are most familiar with. 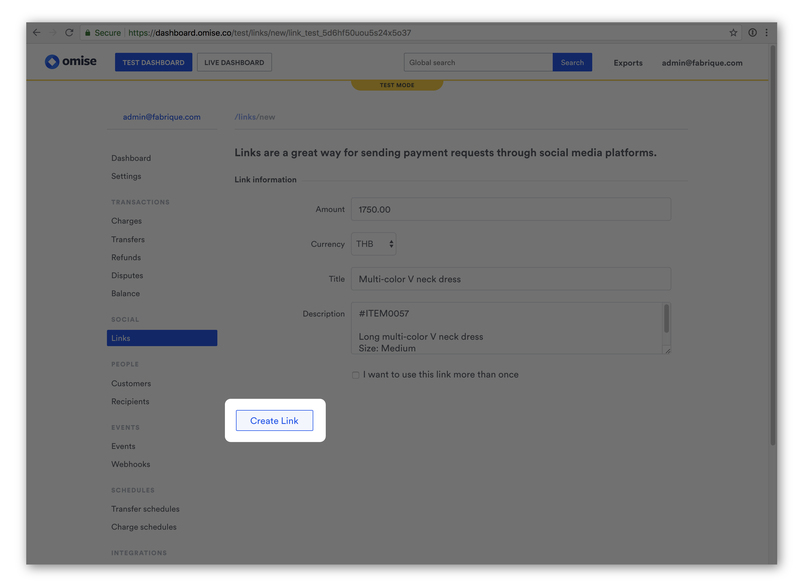 Once your customer receives the link and is ready to make the payment, they simply click on it, and a form will pop up. First, they’ll find 2 fields; email and message the seller. 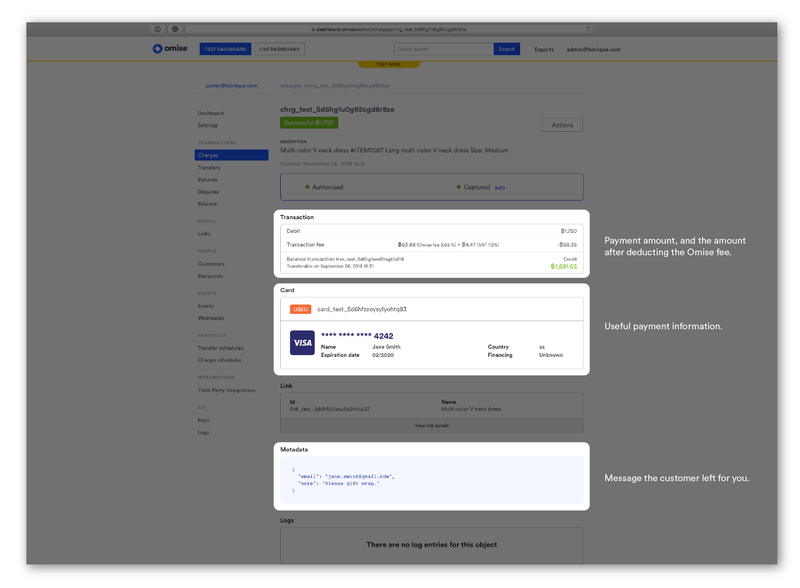 Both fields are optional, inputting their email into this field the buyer will receive a payment confirmation from Omise. And if they decide to leave you a message, you’ll be able to find it under the charges’ details on your dashboard. 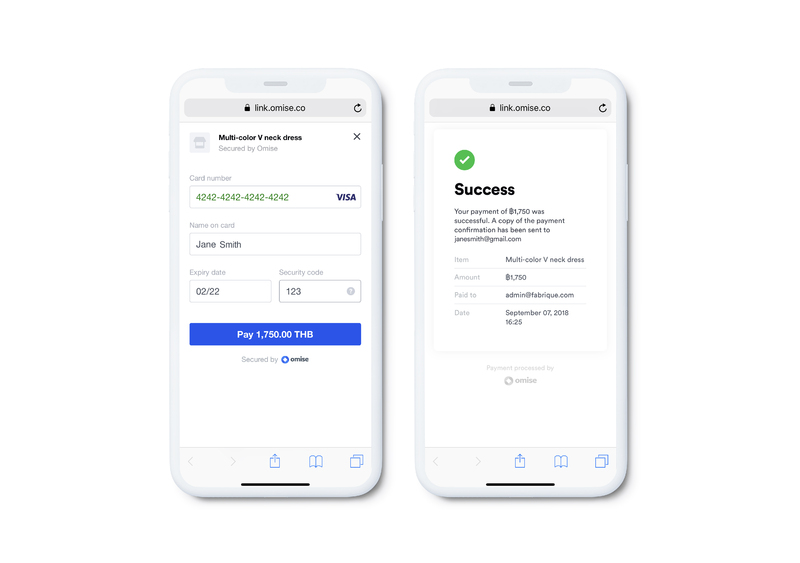 The next stage is where the customer enters their card details. Payment can be made using both credit or debit cards. Once all information is added, they can click Pay to complete the payment. Systems will usually take no longer than 3-4 seconds to process. Once completed, a notification will appear on the screen. Customers who entered their email in the previous step will also receive a confirmation email. And that’s it! You just got paid. Merchants can see the status of each transaction in real time by checking from the dashboard. Any additional message the customer left for you can be found under metadata.